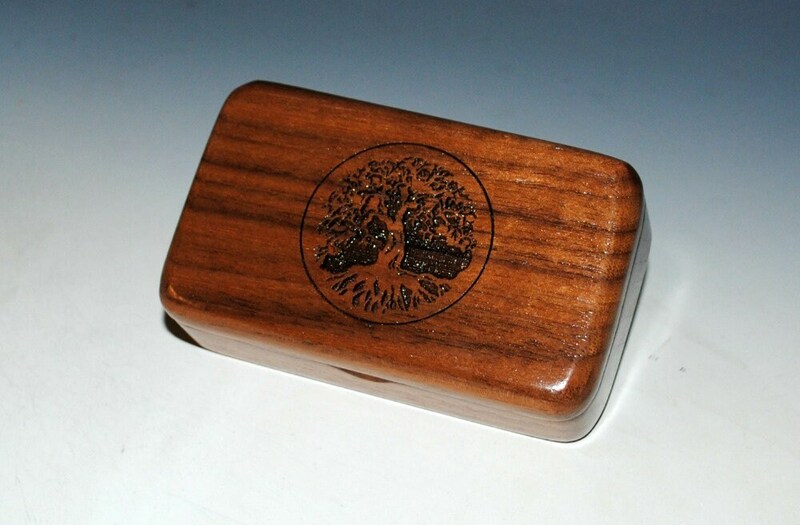 A Tree of Life is laser engraved onto the top of this small natural walnut box. 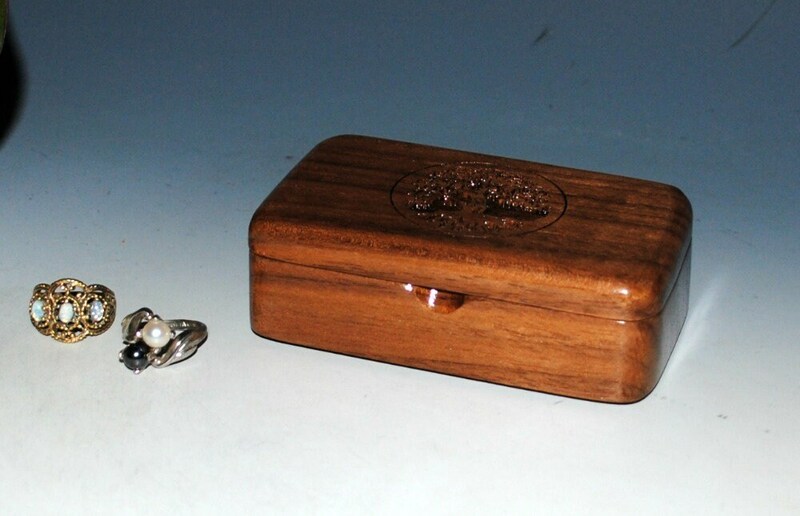 The box is engraved before the finish is applied so that the box is totally sealed. 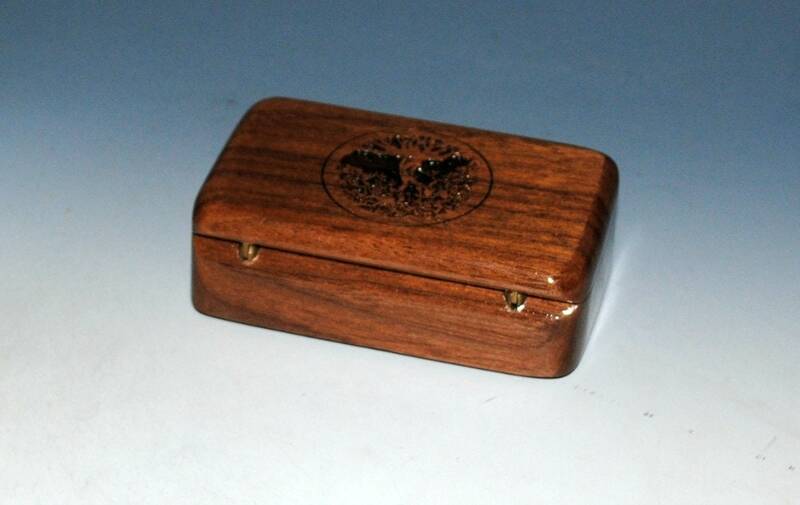 This tiny wooden box will make a great gift. 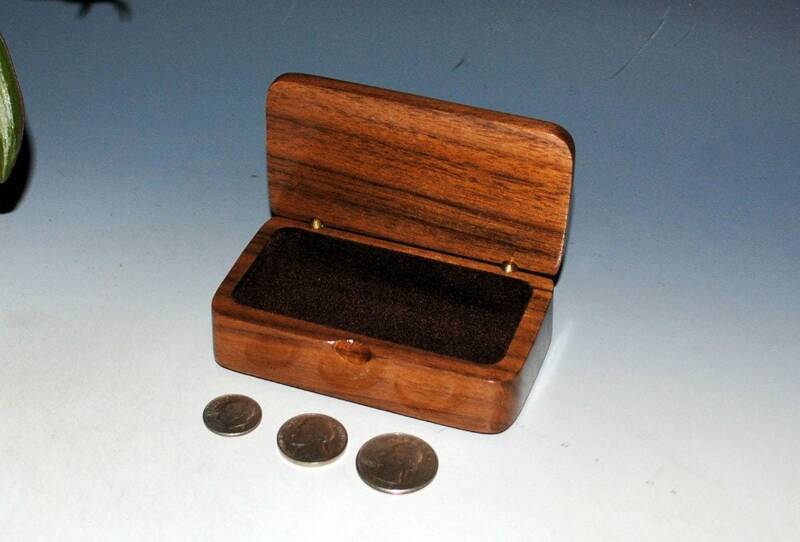 Can be used as a small jewelry box, for special treasures or keepsakes. 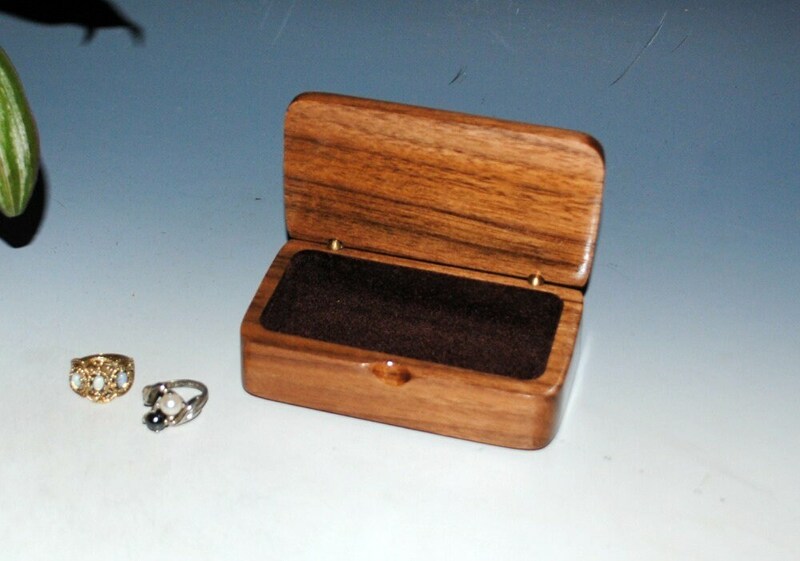 What is up with this very small box ? Well, once again, it is a box created and then re-ordered numerous times by one of our long time customers. We decided to take a few with us to an art fair AND amazingly you liked them too ! So we decided to place some in our Etsy shop also. 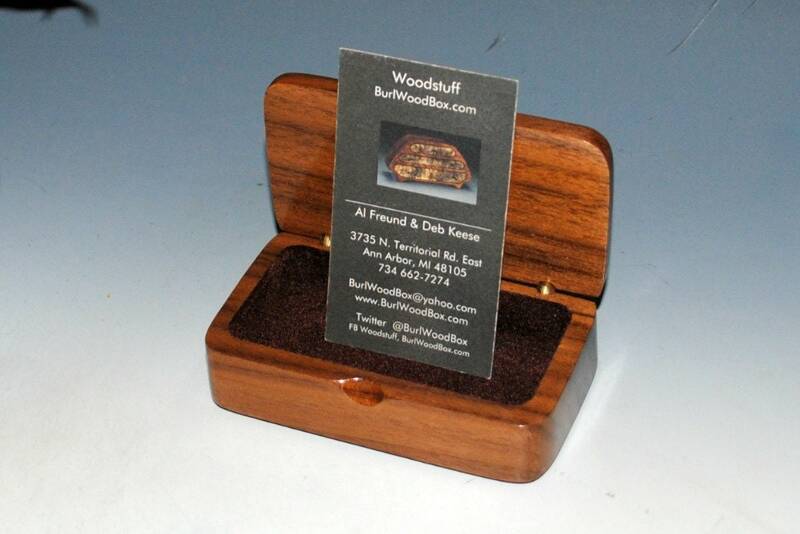 Box is lined with brown rayon flocking to compliment the darker walnut. 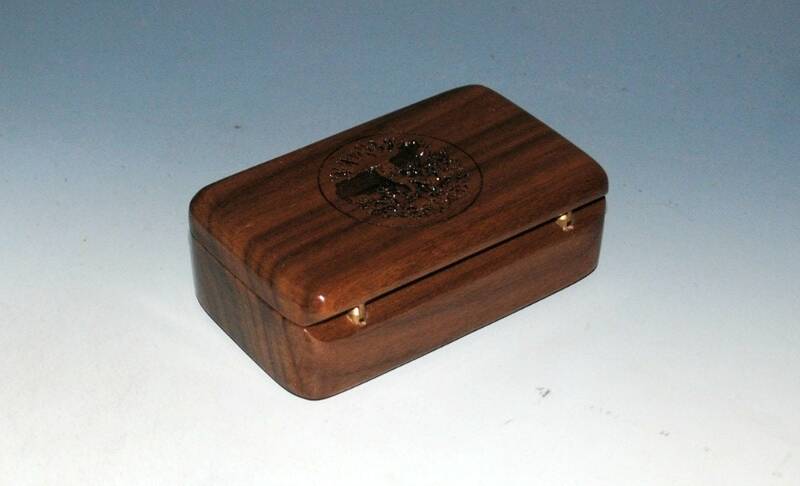 Other styles of our wood boxes can be accessed from our shop's home page, link follows. Exactly as described. Not a flaw on it. Just perfect.